Now, this is my kind of shawl! Nobody’s getting this one. I did no blocking on this one. I really like the lumpiness of it. There were twelve rows in the middle that I skipped because I was at the end of the red and starting to go into the purple. I had enough yarn, but the look was so perfect. I didn’t want to spoil it. The leftover green will go into my sock yarn ends compartment. One of these days(years) I’ll make a jacket ‘a la’ Koigu oriental. I’ve been working on my daughter’s vest again. Yeah. 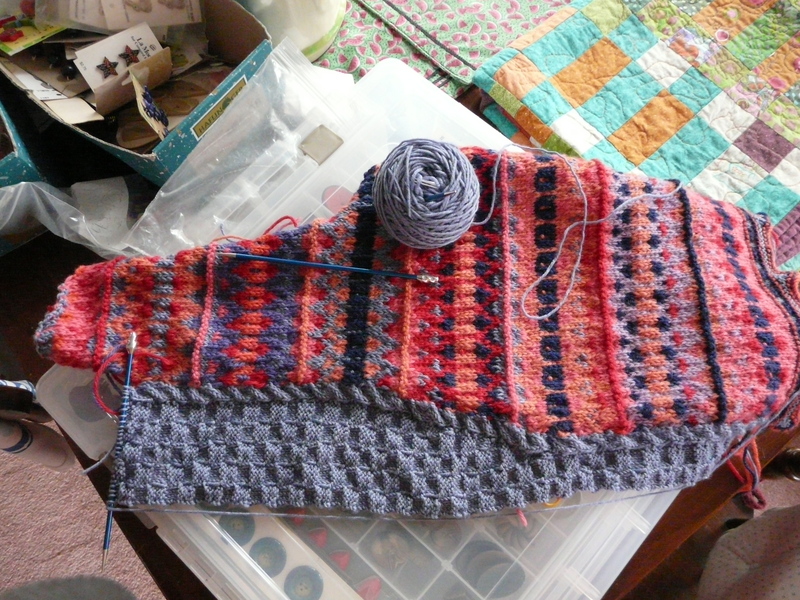 I wove in the rest of the ends and sewn all the seams. I couldn’t decide which color to rib the armholes. I laid the contenders out on the bed, closed my eyes and picked one. Very logical. Burnt orange won. I still don’t care for the collar and front band. I’m thinking about taking it off and putting something entirely different on it. Argh. 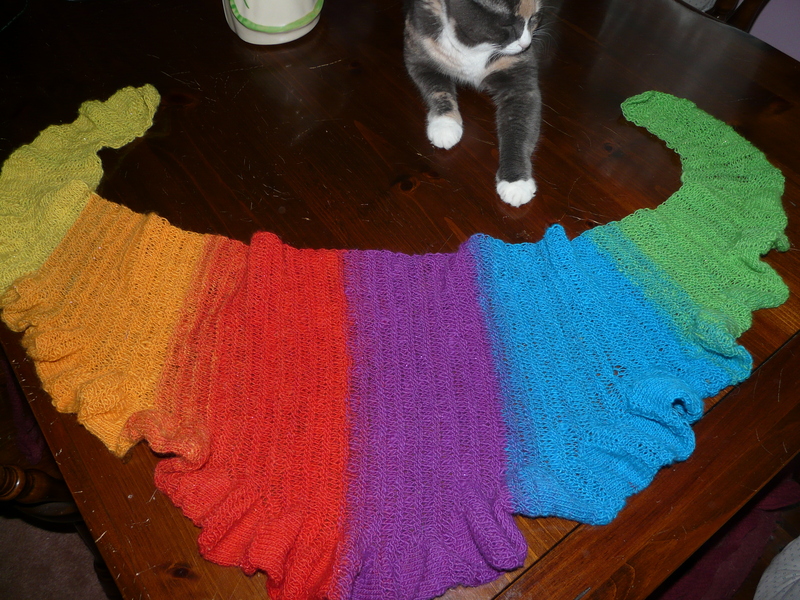 This entry was posted on September 7, 2012 at 5:13 pm and is filed under Knitting. You can follow any responses to this entry through the RSS 2.0 feed. Both comments and pings are currently closed.